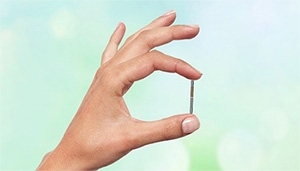 Neurostim developer BlueWind Medical reported positive results from a follow-up study of patients using its implantable tibial nerve stimulator for overactive bladder (OAB). Renova iStim is a leadless, miniature, wireless neurostimulation platform designed for the treatment of multiple clinical indications. Three years after implantation of the BlueWind’s Renova iStim device, 75% of patients experienced at least a 50% long-term reduction in symptoms. Patients experienced a durable, long-term, effect of urinary urge incontinence relief in “leaks” (50% of patients) and in “large leaks” (80% of patients). No severe adverse events were reported throughout the follow-up study, according to the Herzliya, Israel-based company. The post BlueWind posts positive follow-up study results appeared first on MassDevice.